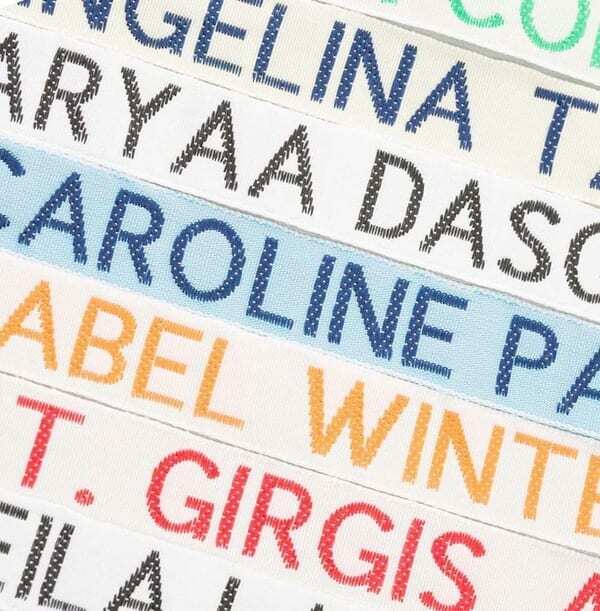 Larger than average fabric labels, this name tape comes in at 1/2 inch deep or 12 mm. 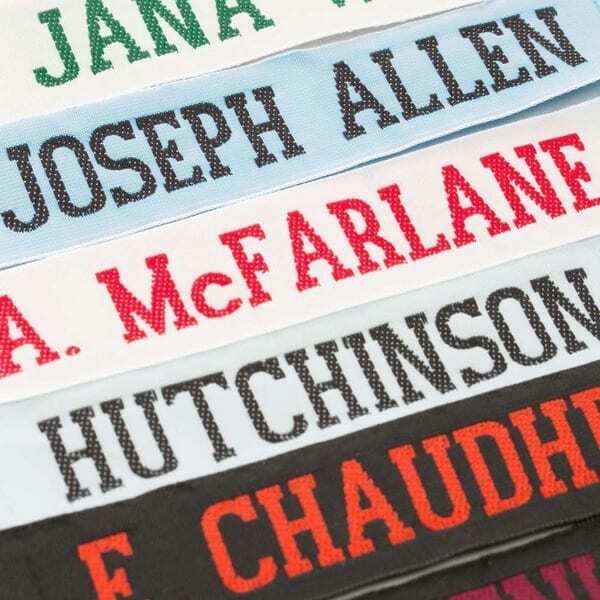 Large sewing labels are best suited for naming the outer side of sports kits, or bedding etc. 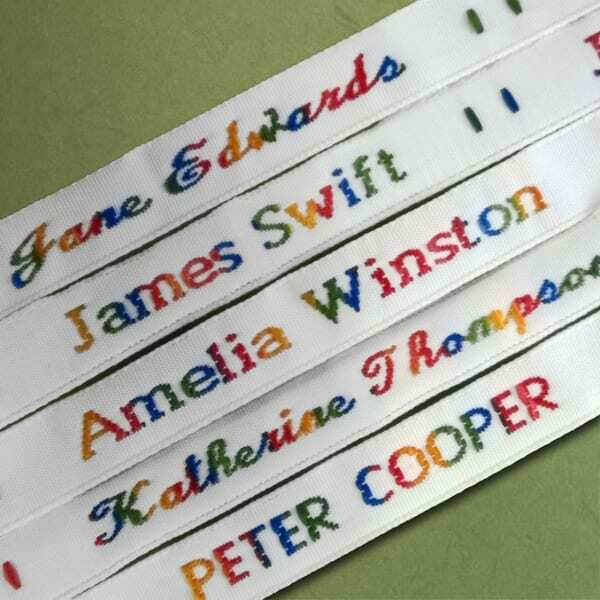 Available to purchase in a choice of pack sizes ( 36, 72 or 144 name tapes) What is nice about these 12 mm sew on labels is that they do come with a choice of name tape colours and weave colours. So you really can be creative with your choice choices. Your chosen name will always in be printed in CAPITAL letters only. These fabric labels have a maximum restriction of 25 characters including spaces. Please note that this label will be as long as the name so if you do use all 25 characters that is a very long label. We suggestion Surname only or Initial and Surname. 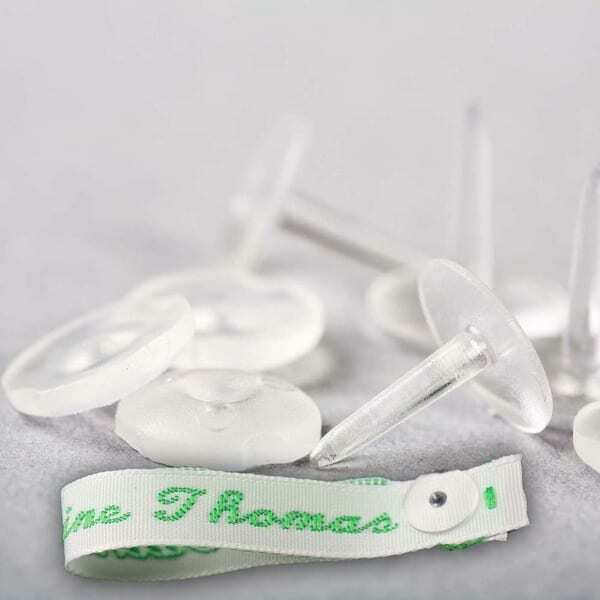 12 mm sew on labels provide easy identification of all your clothing garments.